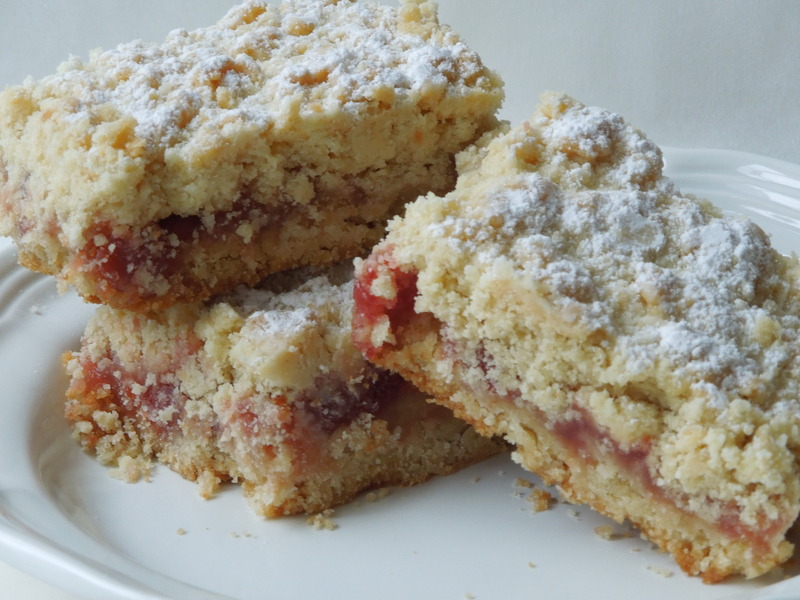 I love this easy crust hugging peaches and raspberries. I made the dough by hand and added some homemade yogurt (a new experiment in my kitchen) and what seems to be a secret ingredient: yellow cornmeal. The result is an easy to handle dough that’s slightly tart and crispy. The recipe makes enough dough for two small galettes and knowing my family’s appetite for dessert I went ahead and made both at once. No regrets on that. These galettes were delicious. You can find the recipe here at the hosts: Tomato Thymes in the Kitchen and Garden and The Kitchen Lioness. After forming the dough into two disks I refrigerated them for about three hours. I decided to go with peaches and raspberries for my filling but you could use any fruit and berries here. I rolled the chilled dough out into 11-inch circles. It was a little sticky but with some flour under the dough and on my rolling pin I had no troubles. 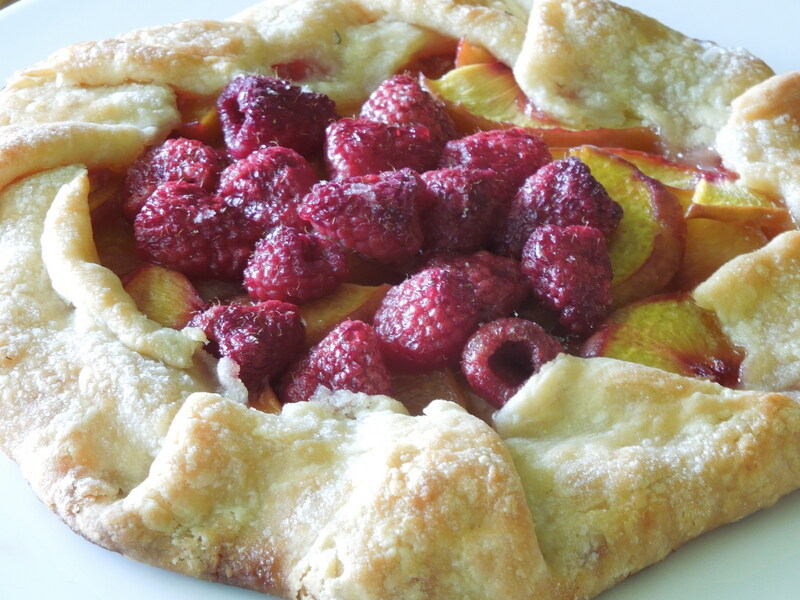 I placed my sliced peaches and raspberries over the dough and left a couple inch border around. 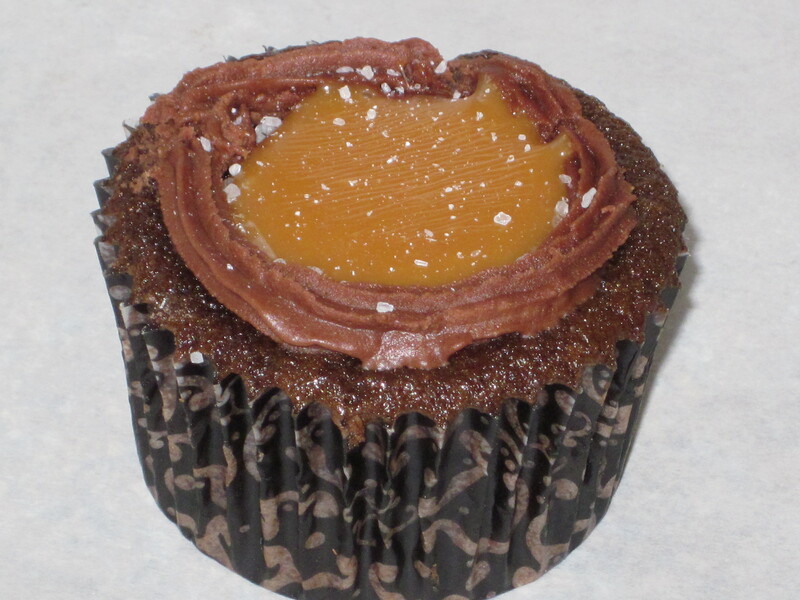 Then I sprinkled the filling with both granulated sugar and honey. 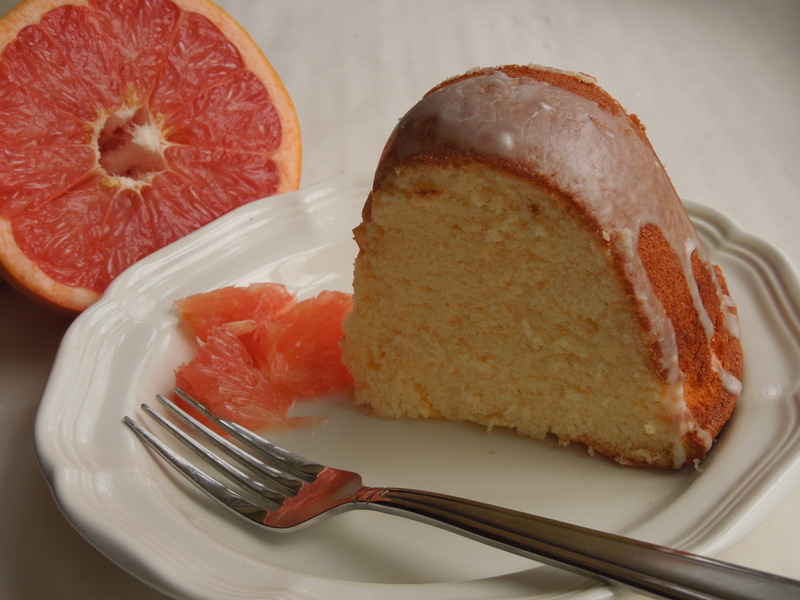 The edges of the dough were folded over the filling and the crust brushed lightly with water before more sugar was sprinkled on. I baked the galettes for about 40 minutes at 400 degrees F. There was a small amount of juice leaking but I think that is part of the charm of these rustic little pies. 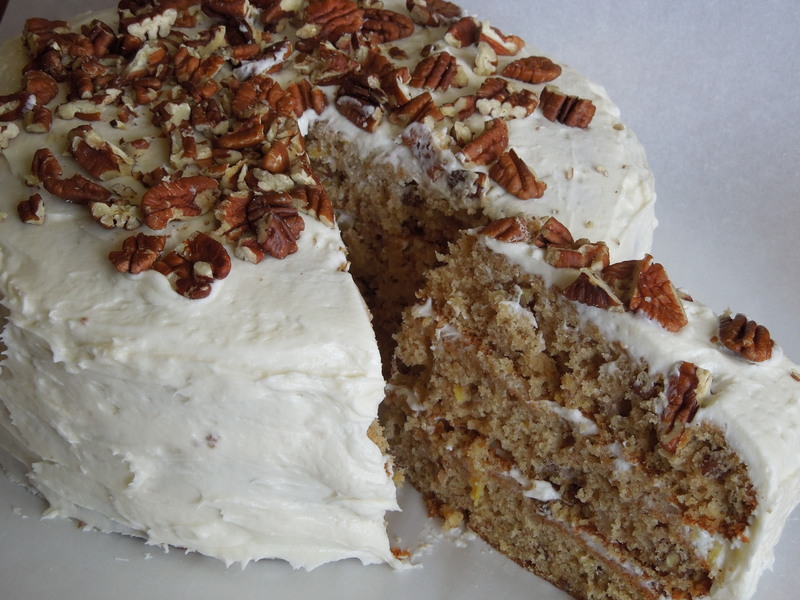 I am hanging on to this recipe! My whole family enjoyed them. 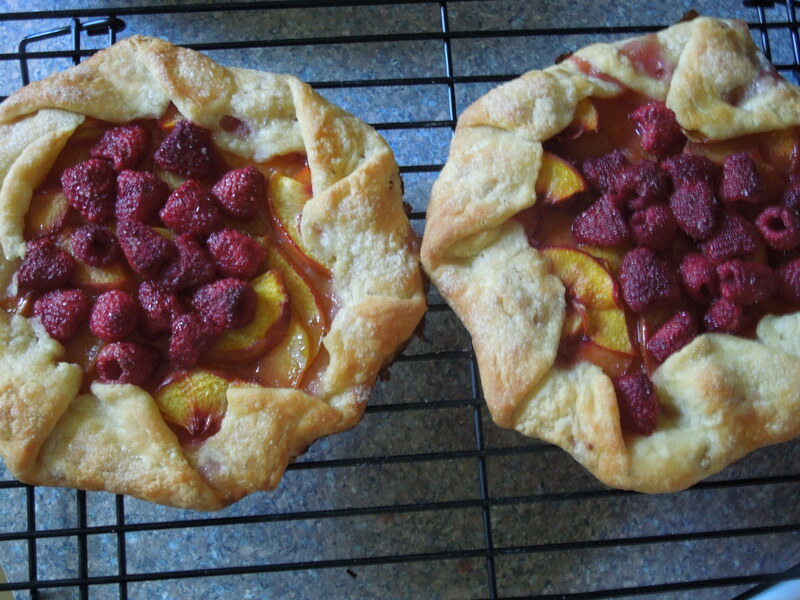 The peaches were soft and sweet and the raspberries provided a bright tart contrast. I am already thinking about blueberries for the filling. 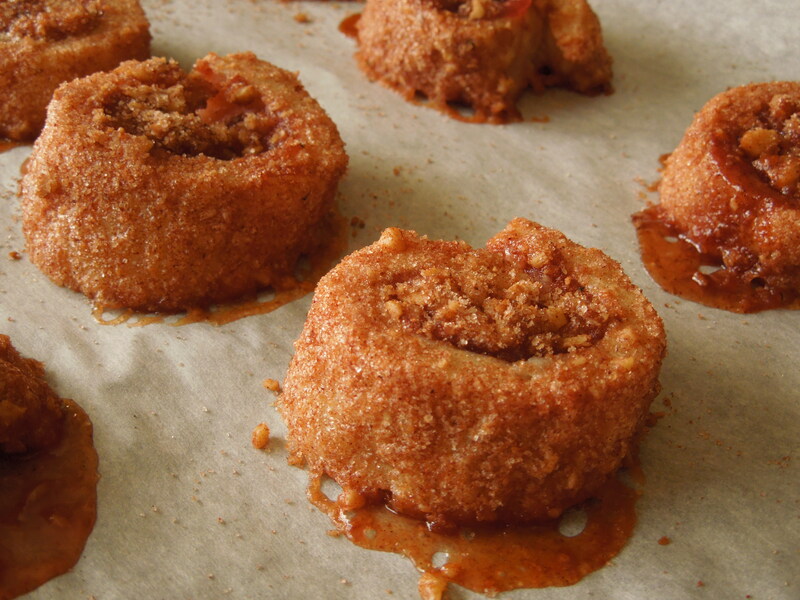 Apple galettes would be perfect for fall. Or maybe pears. Or one of each. I don’t think my family will complain if galettes keep showing up after dinner. Sometimes you just have to seek out the “real deal” before you attempt to make it at home. Macarons fit the bill for me. 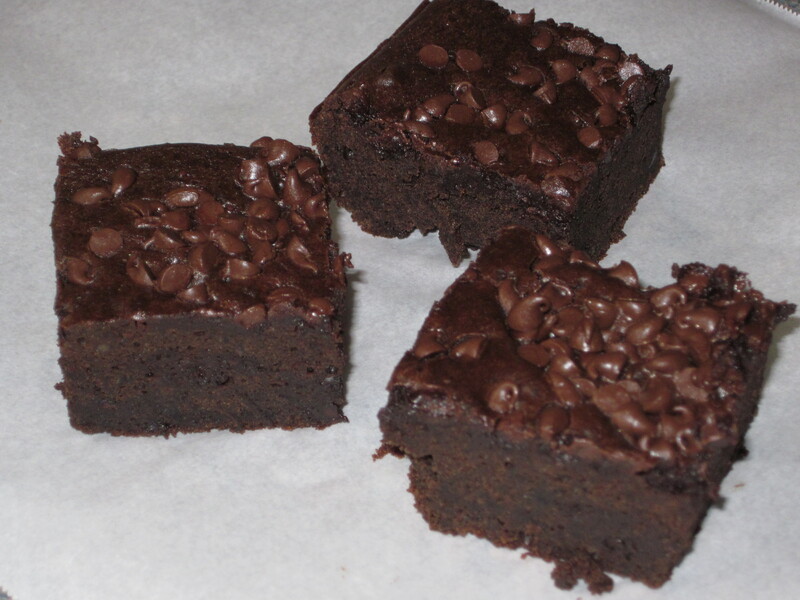 I have tried to make them once at home with little success. I wasn’t exactly sure what the texture should be like inside the cookie. Crispy? Soft? 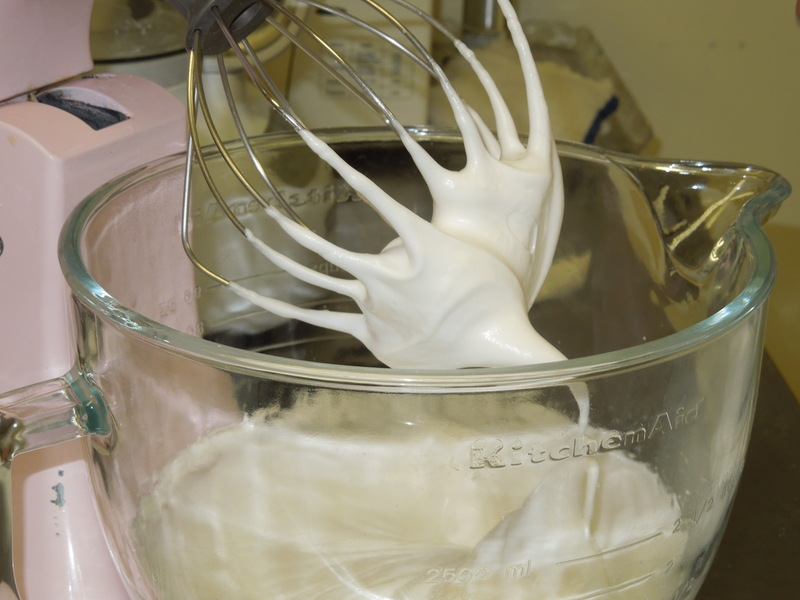 Plus the consistency of my batter was too thin and left my piped macarons spreading across the pan. Not satisfied to accept failure I knew I had to do some research. 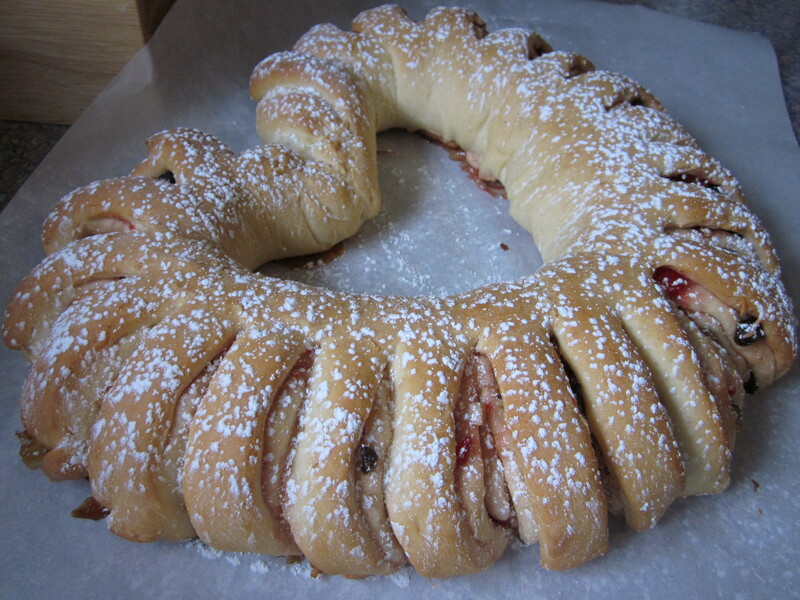 So I googled “French Pastry Chef” and found someone in my neck of the woods who is an expert–Chef Cecilia Mercante at the Ann Arbor, Michigan farmer’s market. 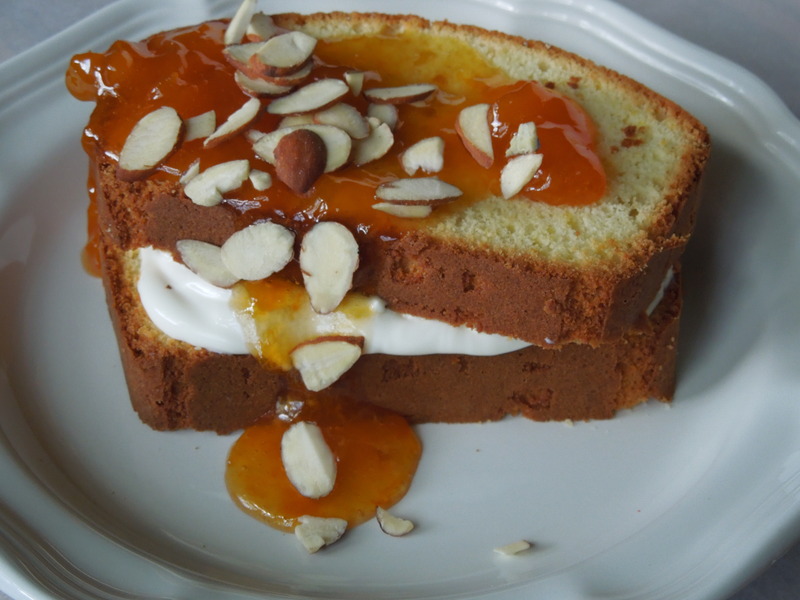 According to her website, cecilia’s pastries, Chef Mercante was trained at the Institut National de la Boulangerie Patisserie in Rouen, Normandie France. I thought surely this is as close as I’m going to get to an authentic macaron. I went to the next farmer’s market and bought several of her macarons. I was wowed by the delicate crust of these cookies followed by a slightly soft, gooey interior and a fresh and flavorful buttercream filling. This is what I had to aim for. Luckily for me Chef Mercante offers classes! 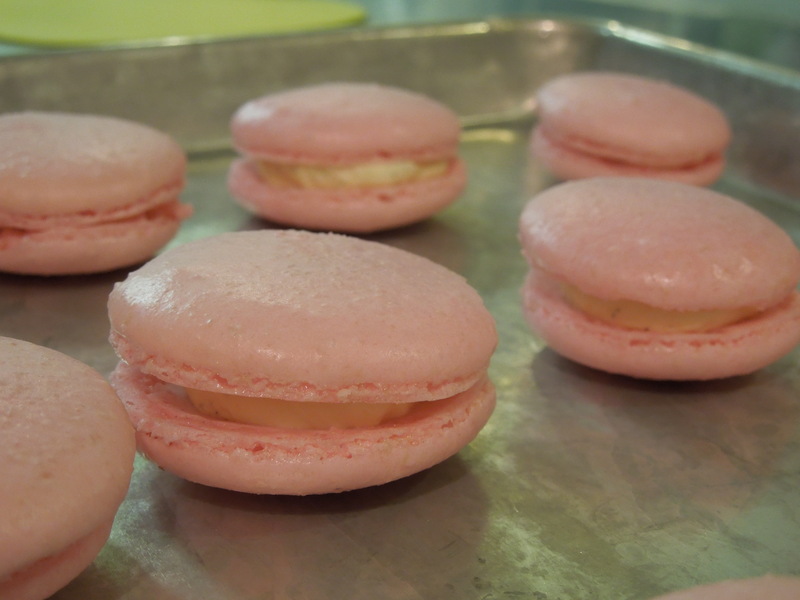 I signed up for a 3 1/2 hour macaron class for amateurs. 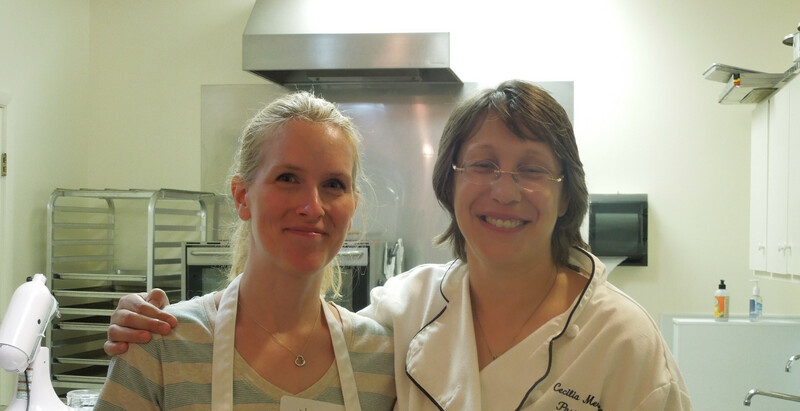 Friendly and approachable, Chef Mercante and her husband run the classes out of a commercial kitchen attached to their home. 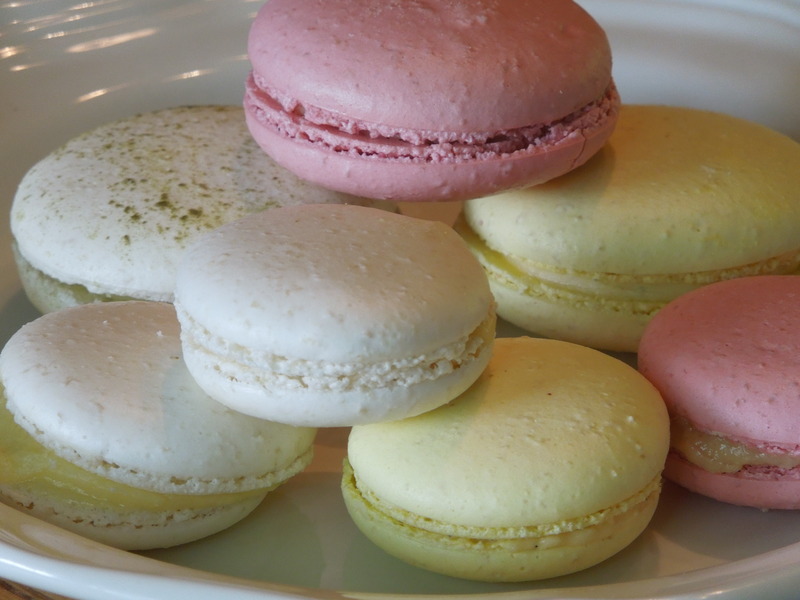 I was joined by three other eager students to learn the mystery of the perfect macaron. 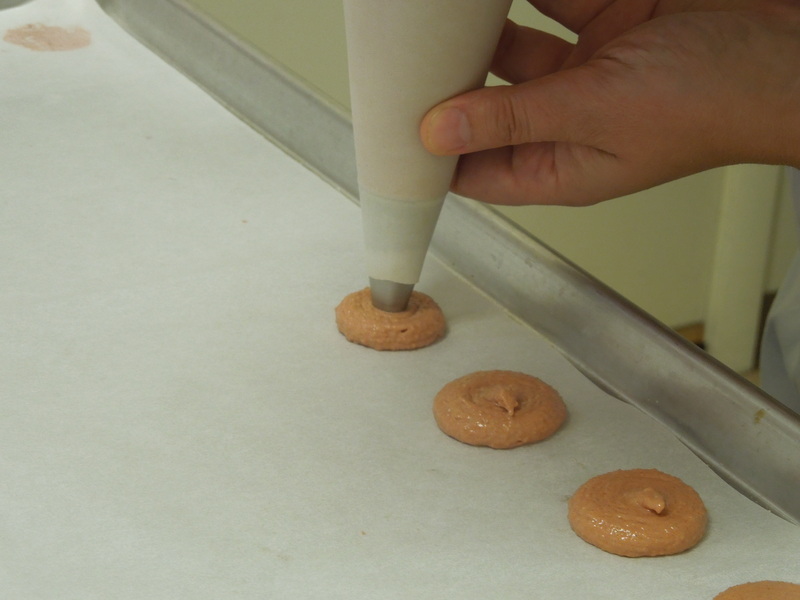 Chef Mercante first demonstrates then guides students through a “hands-on” macaron making experience. Chef Mercante was masterfully knowledgeable yet able to interject lots of laughs to ease our nerves. 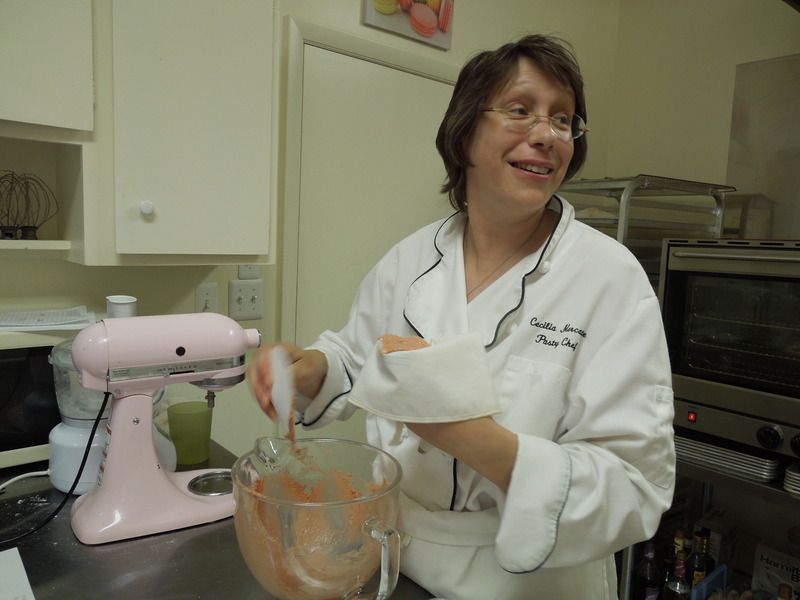 The class was very “hands-on” and she guided us every step of the way when it was our turn to make a batch. 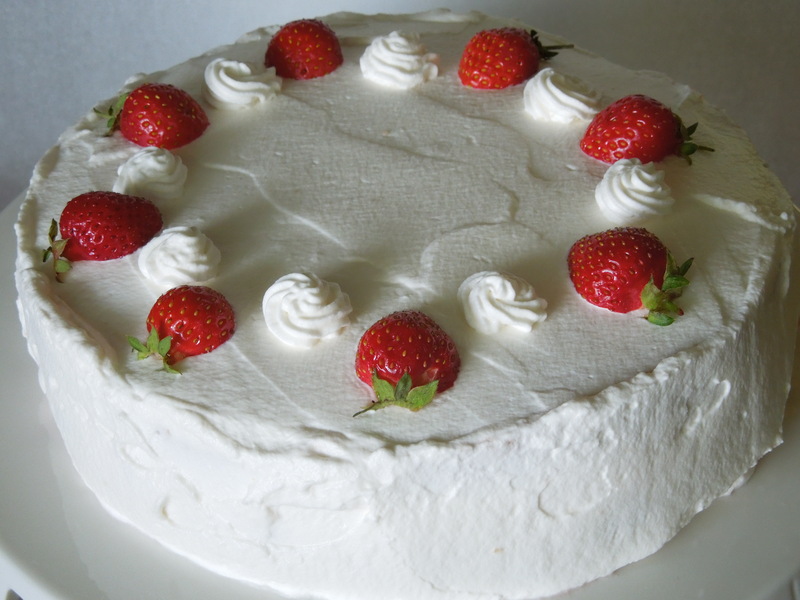 The simplicity of using a whole vanilla bean made the classic vanilla buttercream outstanding. I was also intrigued by some of the more unique variations like using violet liqueur and candied violets to create a violet buttercream. I learned so much at this macaron class. I can’t wait to try to recreate them at home! I had a great time and walked away with the feeling that I could recreate these delicate cookies at home with practice. I need to add a few small gadgets to my kitchen like a digital scale to weigh ingredients and some larger pastry bags and tips than I don’t currently have. But once I am set up at home with supplies I will be ready to tackle macarons by myself again! Thank you Chef Mercante! 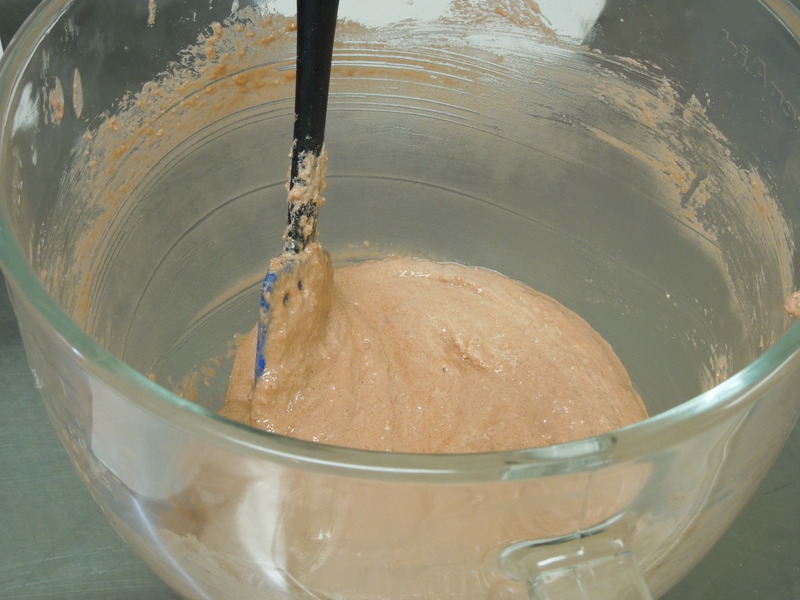 Have you ever made macarons? What was your experience?